As of December 31, the number of homes in Bulgaria stood at 3.73 mln, of which 2.36 mln were in cities and 1.37 mln in villages, the National Statictical Institute (NSI) reports. The total area of living floor space in the country was 152.88 mln sq. m., or an average of 19.9 sq.m. per capita. 94.89 mln sq.m. of the total area was in the cities. The average useful floor per dwelling in Bulgaria stands at 63.74 sq.m., 64.59 sq.m. in cities. The average useful floor per apartment in Sofia is 65.34 sq.m., or 16.93 sq.m. per capita. The most popular type of dwelling in Bulgaria is the two-bedroom apartment, shows NSI statistics. At the end of 2006 there were 1.24 million two-bedroom apartments in Bulgaria, while the number of three-bedroom apartments stood at 1.19 million. Suprisingly the number of four-bedroom apartments (557,550) is greater than that of single-bedrooms and studios (434,950). Only in the capital city four-bedroom apartments were more than one-bedroom ones – 92,430 against 37,420 respectively. 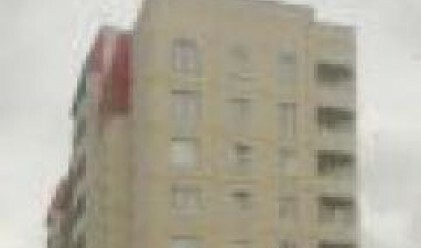 At the end of the year there were 183,270 five-bedroom apartments in Bulgaria and 122,380 six-or- more-bedroom ones. There were 486 dwellings per 1000 persons of the country's population, and the average number of persons per dwelling stood at 2.06. In the capital city, the average number of persons per dwelling was 2.36 peope, or 424 dwellings per 1000 persons. In Sofia the total number of dwellings was 524,670, of which 212,340 were two-bedroom apartments and 169,070 three-bedroom apartments.